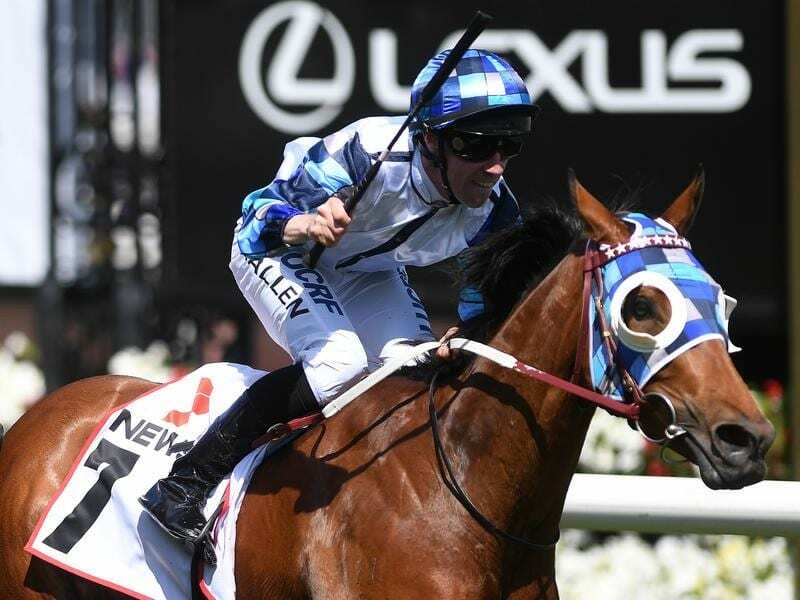 Kenedna has returned from retirement to land the Group Two Matriarch Stakes at Flemington. The Darren Weir-trained five-year-old was retired after one run as a four-year-old following a string of problems. She was heading to stud until Weir inspected her at his farm at Baringhup and convinced the owners to return her to racing. Ridden by John Allen on Saturday, Kenedna ($10) scored a long-neck win over the $6 favourite Miss Siska with Luvaluva ($31) a head away third. Kededna was an outstanding three-year-old, finishing a close second to Egg Tart in the Group One Australasian Oaks at Morphettville before running fourth to that galloper in the Queensland Oaks. But Weir explained when the mare returned for her four-year-old campaign she kept going sore behind. “We retired her and the truck was booked,” Weir said. “We sent her up to my place at the farm where there was heaps of good tucker and I put her out in a big paddock with a few other horses. “I went up there one day and while you look at them all I didn’t really look at her because she was going to stud. Kenedna was a year between runs returning at Flemington in September with Saturday’s win her fifth start since resuming. “Hopefully now we can get her in a Group One race at some stage,” Weir said.